University of Pittsburgh Press, 2000, 1988. November 28, 2013 – Links International Journal of Socialist Renewal -- The USSR was not known, in the West, as a pioneer of ecology. Unfortunately, it was known more for the Chernobyl nuclear power station accident, for acid rain and air pollution, and oil spills and the pollution of unique environments such as the Aral sea. What if the USSR had been different? What if it had tried to preserve its natural ecosystems, after the tsar was overthrown? It is little known today, but there was a small yet promising movement of scientific ecology and nature preservation in Russia, with roots in the tsarist order of the 19th century, which flourished in the revolutionary USSR of the 1920s. Douglas Weiner's book, first published in 1988 (while the USSR still existed) pays homage to the creative and resourceful scientists who led this movement, and uncovers some lessons that still have relevance today. At the same time it provides a fascinating window through which to observe the degeneration of nascent Soviet democracy and civic participation (and even the sciences) through the 1920s and 1930s as Stalin consolidated his grip on power. In the 1920s, modern scientific ecology was in its infancy. I'm not well enough versed in ecology's history to comment much on the discoveries and discussions of those early Soviet ecologists. No doubt many of them have been superseded by new theories and discussions, since ecology as a science has risen to prominence in the latter half of the 20th century. Nevertheless, interesting and innovative research was conducted. Although the subject of ecologists' studies is not the main point of the book, it is the basis of the political struggles the ecology movement found itself waging. Much of the scientific ecology movement was focused on preserving and studying natural ecosystems in a system of reserves. One of the most prominent was Askania-Nova, a small reserve of steppe grassland in the Ukraine, preserved by its aristocratic owner under the tsar, and kept partly as a scientific nature reserve under the Soviet government. One scientific director of Askania-Nova was the scientist V.V. Stanchinskii. One innovation he put forward was a system for studying the energy flows in nature, from the harvest of energy by plant life, up to the top of the food chain. This method sought to provide a way of quantifying the available energy, with potential agricultural applications. It also, for example, suggested other ways to aid in the understanding of the species that make up the ecosystem. For example, applying the second law of thermodynamics (entropy), Stanchinskii gave a theoretical explanation for the relative lack of larger predators. Since each conversion of energy from one level of the food chain to the next necessarily loses energy in the process (animals must expend energy to get their food, not to mention to do the other things necessary for survival and reproduction), at higher levels of the food chain less energy is available to sustain the apex predators. Other scientific debates and theories were perhaps less promising, but to be expected in their time. “Phytosociology”, for example, was a school that attempted to explain inequality as inevitable in society due to its inevitability in nature. Defining and refining ways to delimit and recognise “biocenosis” (a word roughly translating to “ecosystem”) was a major theoretical debate. How does one define where one biocenosis ends and the next begins? How do we describe the characteristics of a distinct biocenosis – by the floristic composition, perhaps, or by energy flows, as suggested by Stanchinskii? These intricate debates over abstract categorisation were at times obtuse. Yet they seem to have also been the result of a real movement of ecology. This Soviet ecological movement of the 1920s was driven by science, but perhaps (less obviously) guided also by a cultural (or aesthetic) appreciation for nature. The high regard in which the Communist government held all things scientific (quite genuinely, at first) gave pre-eminence to the research-oriented ecologists. However, Weiner makes it clear in the Afterword (to the 2000 edition) that an aesthetic or cultural attachment to nature was often an underlying motive, sometimes quite explicitly, but equally, at times well hidden. We see aesthetic motivation quite explicitly in the work of pioneering ecologist, also a classicist and poet, A.P. Semenov-tian-shanski. An accomplished entomologist, he exemplified both sides of the enlightenment coin (as Australian writer Ross Macleay has put it): both romantic and scientific love of nature. “He explicitly voiced an aesthetic distaste for modern industrial society, capitalist or socialist”, Weiner writes. He quotes Semenov-tian-shanski writing that industrial society was “disrupting the harmony of nature's picture ... that grand tableau which serves as the inspiration of the arts”. A further quote has him warning that “in snuffing out the hearth of Nature's life, in plundering and squandering her basic stock, we are digging our own graves, preparing a miserable future for our progeny”. Semenov-tian-shanski was, judging by Weiner's account, able to merge his scientific and cultural appreciation of nature into a sophisticated appraisal of industrial society's shortcomings. In a 1919 speech, he said that “free nature undefiled in all of its portions by mankind is a great synthetic museum, indispensable for our further enlightenment and mental development, a museum which, in the event of its destruction, cannot be reconstructed by the hand of man”. Many modern environmentalists are familiar with the Bolivian government's granting rights to nature (“Pachamama” or Mother Earth) in its constitution. This would have been welcomed by Semenov-tian-shanski. In Weiner's words, the philosopher thought that “humans would have to surrender their pretensions to ontological superiority over the rest of nature and recognise that living nature had rights in and of itself”. While Semenov-tian-shanski's approach was not dominant, it must have been well known in the small community of ecological scientists. Yet he went silent through the 1920s, as a more narrowly scientific view took centre stage. The communist government's education minister, Lunacharskii, and even Lenin on occasion, proved to be firm allies to those scientists who, in the early years, petitioned to set up nature preserves. In the free and undogmatic atmosphere of the New Economic Policy, with the hardship of the war and civil war behind them, it must have been a hopeful and optimistic time. Reminescent again of Bolivia today, the early Soviet republic was heavily reliant on extractive industries – particularly timber, and also furs were very important for earning international currency. To set aside nature reserves for study, let alone for preservation for their own sake, must have seemed a luxury to many. The conflict between scientists (who wanted to study pristine, “virgin” nature) and the needs of agriculture, forestry and game industries was real and important for these reasons. Tension was widespread between these industries, and the ecologists who wished to preserve wild nature to study it. This led to real and complicated bureaucratic wrangling. Askania-Nova saw a series of conflicts over the proportion of its lands allocated for scientific study, and that allocated for agricultural activities throughout the 1920s – well before the consolidation of Stalin's power in Soviet life – with a brief respite when Stanchinskii became scientific director in 1929, representing a temporary victory for the ecologists. Parallel to the material conflicts over resources, a rising tension between the state monopoly on ideology, and the intellectual freedoms of the scientists became evident as the 1920s wore on. The ruling Communist Party inceasingly denounced “science for science's sake”. On the other hand, many leading scientists were never members of the Communist Party, and as the intrigues of the rising bureaucracy began to reach into all institutions, non-party intellectuals often had their loyalty to the state and revolution questioned. With these pressures, the ecological movement had to become increasingly defensive. Weiner describes a strategy of “protective coloration” in which scientists dressed up their aims and activities in the political rhetoric of the day. At first this required only the language of “dialectical materialism”, which had become the official state ideology. Later, as the five-year plans emerged and Stalin declared his aim of out-producing the West, the camouflage strategy meant they had to go through further contortions to justify scientific nature preserves in terms of what they contributed to the plans for industrialisation and growth. Finally, in the 1930s the dogmatic “dialectical materialism” of the Soviet state under Stalin found its own leader for the sciences in the person of Trofim Lysenko, a crank who found favour with Stalin by peddling quack Lamarckian theories. Lysenko has been exposed as a fraud for a long time, but it's not well known that he (and his offsider, Izaac Prezent) sharpened their dogmatic polemics, first arguing within then against the scientific ecology movement of the 1920s. The attraction of Lamarckian theory was that it made promises that animals and plants from other climatic regions could be “acclimatised” to Russian conditions, and thereby improve agricultural output. The theory was based on one idea of 19th century biologist Jean-Baptiste Lamarck, already thoroughly discredited by 1930, that species could adapt to a new environment, then pass on the traits of this adaptation to their offspring. Experiments in acclimatisation ranged from the optimistic to the bizarre, including apes in one experiment, but more destructively, many animals that did prosper in the Russian environment were also introduced, such as musk rats for fur. With these doctrinal conflicts, the ecologists found their conflicts over scientific and agricultural/resource priorities implicated in a greater drama involving a power struggle and the state ideology. The fate of the ecology movement – nearly extinguished under Stalin, with a number of leading figures arrested, sent to gulags and even executed in the 1930s purges – is an interesting case study of the degeneration of Soviet politics as Stalin's dictatorship entrenched its power. In the early years of the Soviet republics, the needs of the ecological preserves and their scientific guardians were not always given first priority, but were understood at high levels to have importance even if they did not contribute directly to economic prosperity. Increasingly, the bureaucracy of other government departments sought to eliminate the rival (real or potential) that they identified in the ecology movement. As the state ideology ossified and became a dogmatic cult of “Marxism-Leninism”, during what Weiner terms the “cultural revolution”, an upstart generation of apparatchiks, fancying themselves Marxist-Leninist cadre, with perhaps some university-learned Marxist doctrine, found their way into the bureaucracy. Many would attack the ecology movement for all sorts of imagined crimes like romanticism, “pursuing science for science's sake” and the (alleged) bourgeois class origins of many leading scientists – many of whom had been professional scientists well before the revolution. A witch hunt was brewing, and perhaps what is most surprising is how long the ecologists managed to hold their ground, as various factions of dogmatic “Communists” struggled against each other in the state departments, the academy and the sciences. Perhaps this is testament to the grounding in true science that continued to guide the ecologists, as opposed to the increasingly nonsensical abstract dogma that passed as “scientific socialism” in the official Communist academy. Other studies have been written to explain how the democratic and genuinely progressive revolutionary leadership of the Communist Party degenerated into a dogmatic, bureaucratic and despotic cult of personality. This book does not tell that story in whole, but it provides a unique angle on the drama that unfolded. The insights about the damage done by dogma in service of mercenary and material interests are worth considering. Not just because new generations could, perhaps, fall prey to such misappropriation of “science” to justify despotic or foolish actions. In the modern world, the misuse and suppression of science to justify ecologically destructive industries is pervasive and ongoing. Witness the “debate” between climate science and climate deniers for example, or the promotion of “scientific” genetically engineered crops by supposed supporters of science on the other hand. Equally, many modern “Marxists” are too comfortable with a literary style of political ideology, learned by rote, dogma in fact. Some of the scientists in this book point out (controversially, at least in the context they faced at the time) that science may be best when separated from politics. Equally, we could add, a scientific approach to politics is anathema to dogma and ossified ideology. The most enduring lesson from the book is that, even in a post-revolutionary society and economy, it cannot be taken for granted that ecology will be respected, or that ecosystems will be preserved. 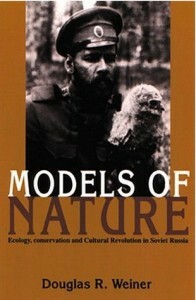 The ecology movement in Russia was a creative and initially promising response to this reality. Faced with demands from industries run by bureaucrats who had not an inkling of the needs for environmental preservation, ecologists tried to educate the public and mobilise a movement in defence of ecology and nature. Initially, at least, they had promising results, with some enlightened supporters in high places aiding them. The book outlines the various bodies that constituted this movement, which drew on students and local officials, and at times included officials from nominally conflicted bodies such as the hunting and game associations. Movement organisations published magazines and mounted public protests such as letters from prominent scientists to public newspapers. A fascinating mass organisation, the “Central Bureau for the Study of Local Lore” is outlined in the book, but not described in as much detail as we may like. It seemed to fill some of the role of the modern land care movement, being composed of local chapters, but more detail would be needed. Nevertheless, it is clear the various facets of the movement sought to organise people on their side. This post-revolutionary political movement underlines for socialists not just the need for future decision making to be informed by up-to-date considerations from scientific ecology, but the need to educate and mobilise public opinion in defence of nature. Socialism is a better system than capitalism, certainly, but it cannot end all conflicts and problems with a wave of a magic red wand, and ending class conflict does not remove all other conflicts of interest from society.